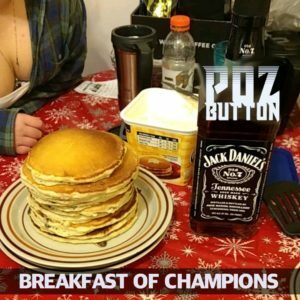 The Poz Button returns with a stream and an important announcement as Borzoi talks to Dogbot about the forgotten film Breakfast of Champions. (8pm EST) The People’s Square – Israel First? Tonight on The People's Square Striker and Borzoi return with Ryan Dawson as our guest to speak about the happenings that have brought America's Israel First policy closer into the light. Alt-Skull and Apache join John to discuss Ruth Bader Ginsberg, Howard Schultz and the 2020 Democratic Primary field, Ralph Northam, Safety Cities, global death cults, and more! Alex McNabb and Researcher Emil join us to talk about the crisis killing our people. John (@AnatomicallyOK) and Borzoi (@borzoombers) discuss AOC bending the knee, the 2020 Democratic Primary field, grassroots change, and more, and are then joined by Richard Houck (@heywildrich) to discuss Bryan Singer, the papacy, and the Martin Luther King, Jr. fraud, among other topics. Borzoi and Striker take time to catch up and see what the ADL is doing these days.